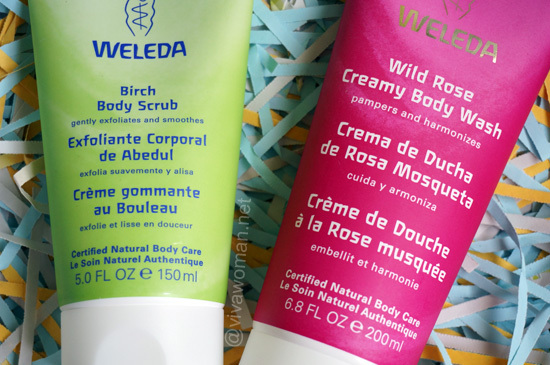 Not only do I have Weleda products in my handbag and on my bedside table, I now have a bunch of Weleda Creamy Body Washes competing for space on my bathroom countertop alongside the Weleda Birch Body Scrub. Good thing they are no eyesore as they all come in bright and colorful packaging. I love just about all of the body washes I’ve tried but I’m going to tell you my favorite of the four I’ve gotten from iHerb. And while we’re at that, I’ll also share my thoughts about their Birch Body Scrubâ€”if it’s worth any space in your bathroom. 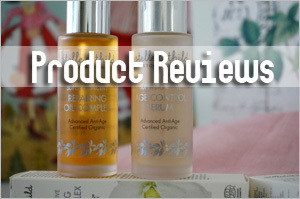 For those reading my blog for the first time, you can check out my reviews on Weleda Pomegranate Regenerating Hand CreamÂ and Weleda Body Oils.Â Having used their bodycare products for over four months now, I still stand by my claims that they’re pure indulgence for the senses, very pampering for the skin and completely easy on the pockets. 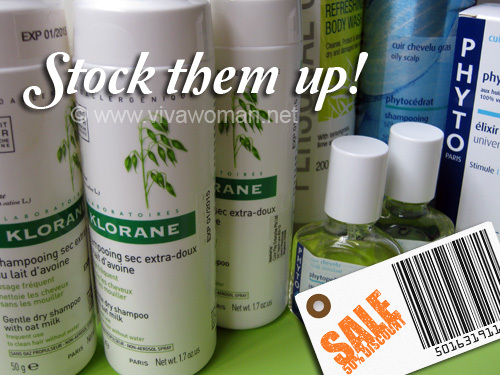 However, while I love all their body washes, I realized that only one of them stood out for me in terms of the scent. 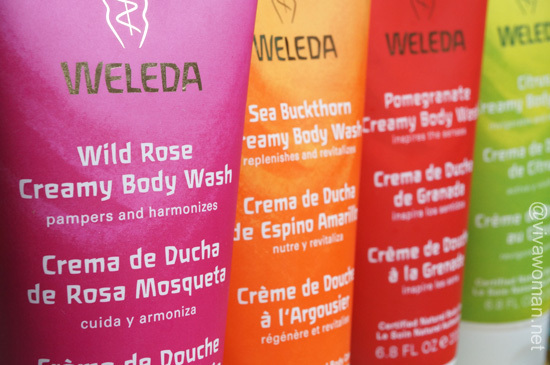 I’m talking about the Weleda Wild Rose Creamy Body Wash. Compared to the other three, I found this to smell most soothing and divine. 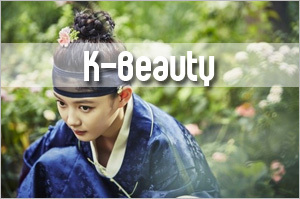 Perhaps it’s because of the familiar organic rosehip seed oil and rosa damascena essential oil that I so embrace. No wonder it’s described as a moisture-rich cleanser with a hopelessly romantic aroma that harmonizes your skin and tantalizes your senses. I’m totally bought into that! Functionally, this works as well as the other three creamy body washesâ€”Sea Buckthorn, Pomomegranate and Citrusâ€”yielding optimal results in cleansing grime and dirt yet not drying out my skin. But the smell isn’t as overpowering as the other three and I suspect would suit those who dislike strongly scented products. I certainly look forward to using this in my bath after an exhausting day and is very likely to repurchase this going forward. 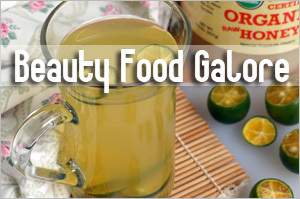 Water (Aqua), Sesamum Indicum (Sesame) Oil, Coco-Glucoside, Alcohol, Disodium Cocoyl Glutamate, Glycerin, Chondrus Crispus (Carrageenan) Extract, Rosa Moschata (Rosehip) Seed Oil, Rosa Damascena (Rose) Extract, Xanthan Gum, Lactic Acid, Fragrance (Parfum)*, Limonene*, Linalool*, Citronellol*, Geraniol*, Citral*, Eugenol*. I am not done with the Giovanni Hot Chocolate Sugar Scrub but I bought the Weleda Birch Body Scrub anyway. 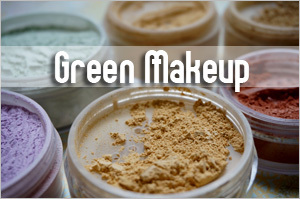 I remember Red Scorpio’s good comments about the product in my last entry about Weleda. I also wanted a body scrub in a tube over a tub. Formulated based on an extract of organic birch leaves, known for having purifying and detoxifying effects, this body scrub works just like most body scrubs. But on first contact, it doesn’t feel that much like a scrub. The effect only became more apparent as I spread and massage the creamy texture over my skin. 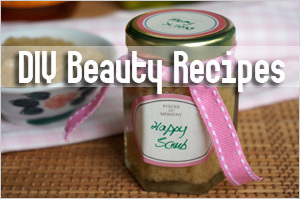 Using natural plant wax pearls, this scrub is non-abrasive and is very gentle. The organic sesame seed oil and apricot kernel oil in the formulation ensure skin is also replenished and refreshed while being exfoliated. 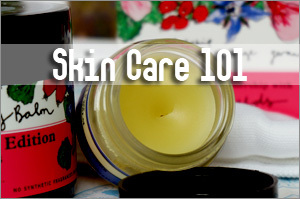 The end result is skin that is naturally refined and silky smooth. I enjoy using this and will recommend this to those with more delicate skin. Smells great too. Water (Aqua), Coco-Glucoside, Sesamum Indicum (Sesame) Seed Oil, Alcohol, Disodium Cocoyl Glutamate, Beeswax (Cera Alba), Copernicia Cerifera (Carnauba) Wax, Hydrogenated Castor Oil, Prunus Armeniaca (Apricot) Kernel Oil, Glycerin, Fragrance (Parfum)*, Chondrus Crispus (Carrageenan) Extract, Betula Alba (Birch) Leaf Extract, Ruscus Aculeatus (Butcher’s Broom) Root Extract, Rosmarinus Officinalis (Rosemary) Leaf Extract, Xanthan Gum, Lactic Acid, Limonene*, Linalool*, Citral*. 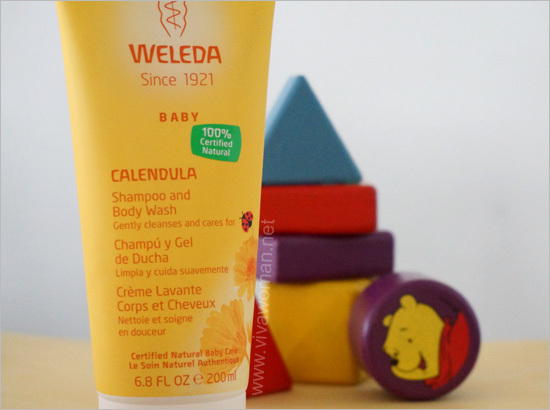 Weleda is a German brand with a line of organic beauty and natural skin care products free of synthetic fragrances, colors, preservatives and raw materials derived from mineral oils. 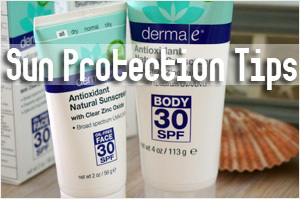 Products are also said to be dermatologically tested. 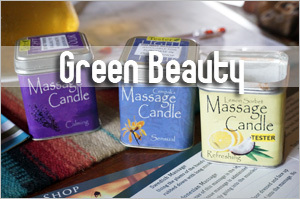 iHerb carries most of their products and you can check out the reviews to have an idea of how well the products are doing for others. 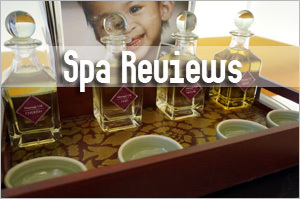 That was also how I got started on the brand, having identified the products of interest and then reading the various reviews. But be aware that many of their items move really fast and furious. I’d to give a number a miss because I never seem to be able to add them in my cart quickly enough. So be warned and happy stocking! Btw, do use my affiliate promo code OVO966 if you’re shopping there for the very first time to enjoy $10 off your purchase. 🙂 I am glad you liked the Birch Body Scrub! 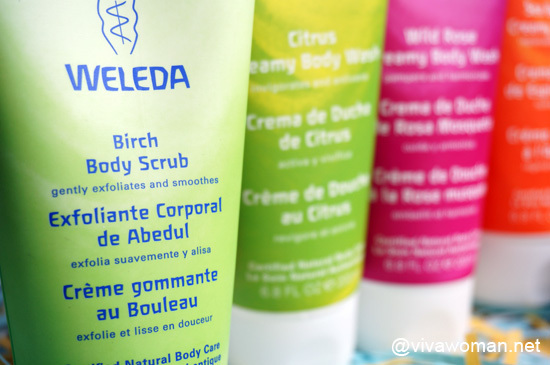 I love body scrubs and I have been trying quite a few from iHerb lately, but Weleda’s Birch remains one of my all-time favourites, even though it’s much gentler than I prefer them. I will probably try the other body washes too – it’s winter over here, so the pampering Rose one seems a good idea (with my Salux washing cloth of course!). 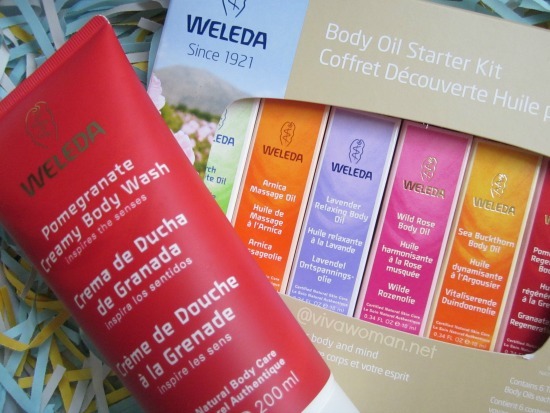 Weleda do some great stuff! 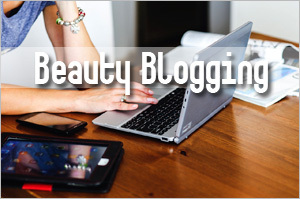 thanks for the review….true, not too ‘scrubby’, but therefore good to use every day! Yes, good for daily use. I noted the ingredients contain Alcohol. So does it mean, this product would stripe off protective skin barrier and causes dry skin? I am very careful not to purchase any products that contain Alcohol. What are your thoughts? Yes, it does contain alcohol. I would not use it if it’s on the face but because I’m less stringent about body products, I can live with this ingredient in the bath range.